April is a ways away, but WJRR wants to get you thinking about next year’s annual Earthday Birthday concert blowout now by offering a Black Friday deal on tickets. If you are a “Club 101one” member (their free online club), you can pick up tickets to EDBD 22 for only $22. Plus the first 1000 tickets purchased with this Black Friday deal will also come with a ticket to see Fozzy (feat. WWE wrestler Chris Jericho) on December 11 at the House of Blues Orlando. This being Central Florida, one of the best gifts you can give for the holidays are tickets to one of our many theme parks or attractions. This year, several are offering Black Friday deals to help with your gift giving. Fun Spot America is once again offering 50% off their annual Season Pass. For only $74.50, you can buy a season pass for Fun Spot America that includes both of Fun Spot’s family fun theme parks in Orlando and Kissimmee. This pass has no blackout dates and also offers discounted rides on the Skycoasters. 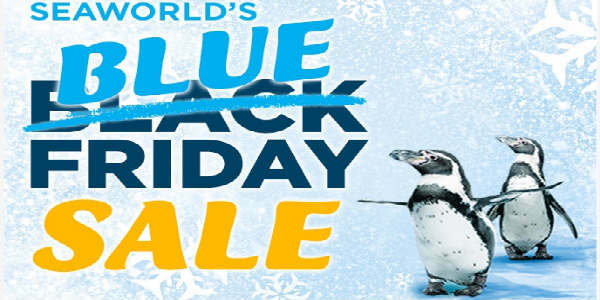 Blue is the new black at SeaWorld Orlando, so they are calling it Blue Friday. The exact details of the offer haven’t been revealed but the press release calls them “Deep Blue Sea” discounts. To find out what they are, sign up for the park’s email list, or follow SeaWorld Orlando on Facebook or Twitter for updates. The deal will be announced at 12:01am on Friday, and available through 11:59pm on CyberMonday (Dec 2). LEGOLAND Florida is calling it Brick Friday, and are offering a buy one – get one free ticket offer. To get this deal, go online and sign up for a special notice to be emailed to you when the deal is live at Legoland.com. And as we mentioned last week, Fun Spot is offering a two-park annual pass (to their Orlando and Kissimmee locations) with no black-out dates, discounts, and a Skycoaster package for only $89.95. Purchase online at FunSpotAttractions.com. It’s an annual ritual – getting up early on the day after Thanksgiving to hit the stores before the sun comes up in hopes of getting those great deals. 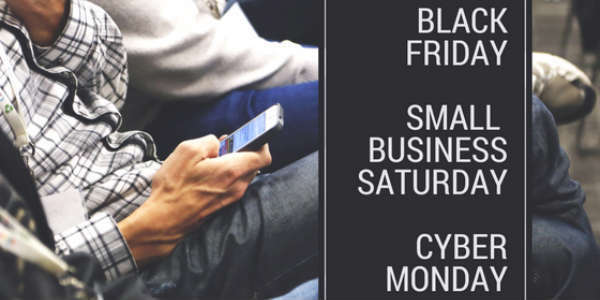 This year, after the sun comes up and you’ve trekked through the local mall’s offerings, Thorton Parks wants you to consider swinging by for a look at the deals their businesses are offering. Graffiti Junktion – Present receipt from Thorton Park merchant for a choice of a complimentary Mimosa, Bloody Mary, draft beer, house cocktail or glass of wine. Happy hour from 4pm-7pm featuring comp. food with beverage purchase. 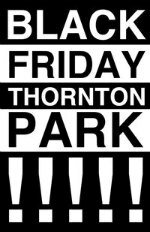 For further details on this shopping event, which runs from 10am to 7pm, check out the Thorton Park District Facebook page.